If you want to buy a Bellport High School yearbook or sell your BHS yearbook, this is the place to do it. Just make a post below to find another person who went to school in Brookhaven to make the trade. If you are a Bellport alumn, we encourage you to register and be sure to sign up for the alumni newsletter. ready to pay! need one asap!! I, unfortunately, lost my yearbook, I know I can't replace the meaningful writings in there, but it would be nice to have the book back. All my yearbooks were lost when I moved down to Florida. Hello! How do I go about ordering a Yearbook from Class of 87? Member of the class of '87 was severely disabled in a car accident.His yearbook cannot be found and he very much wants one. Family asking for help. (I am not related, just doing what I can to find him one. He's unable to speak but has communicated that he wants an actual yearbook, not copies of pages.) Thank you for any help you can offer. I can be reached on FB. Left my yearbook in back of a friends car graduation year, was never seen again... Would love it if someone would scan the class of '82 pictures and email them to me. Thanks! I was just looking to see the yearbook because I was trying to find out someones last name. His name was William and I don't remember the last name. I would like to request a yearbook for years 1979 and 1980. If I would have graduated from BHS, it would have been in 1980, but I had moved out of state. Looking to buy the year books between 1978 an 1979.
mine was stolen by an old apt manager! would really love to have a copy of the 1973 Log! 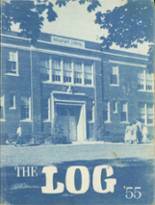 Looking for a copy of the 1963 Log Yearbook for Bellport High School. 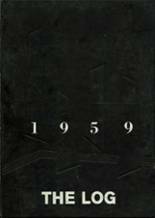 Also looking for 1963 alumni to attend the 50th reunion on June 15th, 2013 at Bellport Country Club.